Miami-based startup Waleteros has one mission: to provide banking services to those who don’t have access to financial services. In the United States, that number is about 106 million people: nearly one-third of the U.S population is underbanked or unbanked according to the Federal Deposit Insurance Corporation (FDIC). That means they don’t have bank accounts or regularly make non-bank financial transactions. Hispanics are disproportionately represented among the unbanked population and Waleteros wants to help them. How? This is Waleteros’ strategy, making it easier for those with smartphones to have similar services of those with bank accounts. The app links prepaid debit card to the user’s smartphone: they can use check cashing, direct deposit, money transfer, cash withdrawals at any ATM and making online purchases. “In order to meet their financial needs [of the unbanked], they have to go to check cashing stores. It is time-consuming, expensive and unsafe. With 2 friends of mine, based on our complementary professional experiences, we decided to develop a Mobile Wallet Solution that could help unbanked consumers to better manage money,” explains Gillard. Gillard explains that while a Check Cashing store charges between 2% and 5% in commission fees, Waleteros charges 1.75%. For sending money, companies usually charge a minimum of $5, while Waleteros has a small fee of less than $1 per transaction (daily maximum of $500). 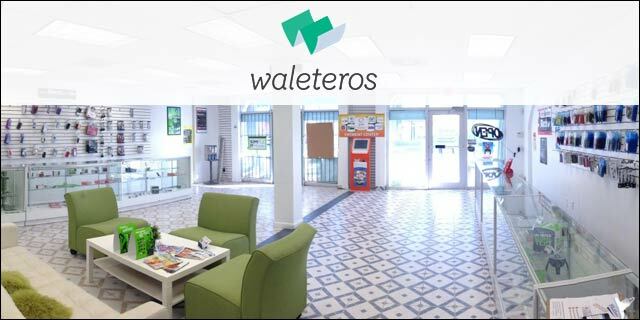 Waleteros’ competitors include YellowPepper and Tigo Wallet, but Waletero’s main differentiator is the focus on Latinos and Hispanics in United States. The startup is currently in one of the chosen companies for Venture Hive’s accelerator program, and it is available in both iOS and Android. Users can register to become a Waletero here.